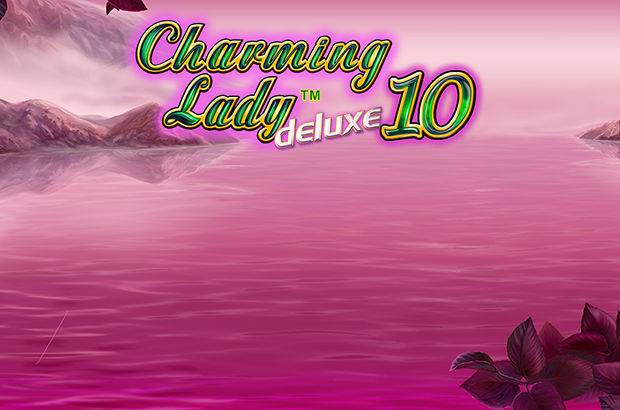 Play Charming Lady deluxe 10™ online for free now! The hit Charming Lady series continues! Enjoy the ramped up version of the cult slot game that must be seen to be believed! Your aim: Between three and five matching symbols on a win line running from left to right. Two different reel sets (Set 1: 4x5 reels, 25 win lines; Set 2: 12x5 reels, 75 win lines). Colossal Symbols: Rabbit’s Foot and Ladybird symbols can expand to cover the reels to significantly improve your chances of winning! These symbols can appear on both reel sets. Wild Transfers: Charming Lady symbols can complete winning combos and expand to cover entire reels! As soon as you get such a Wild stack on the first reel set, it will automatically be transferred to the second set. Free Games: Crystal Ball symbols (Scatter) can trigger up to 20 Free Games if three or more appear anywhere on the reels. During these Free Games, Wilds always expand to cover entire reel before being transferred to the second reel set. Once again, Novoline has managed to craft an extraordinary game that is guaranteed to keep slot fans in our online casino entertained for years to come! And if you fancy trying out further slot hits, our online casino is the place to play. At GameTwist you can find absolute classics like the Book of Ra slots, Sizzling Hot and Lord of the Ocean. 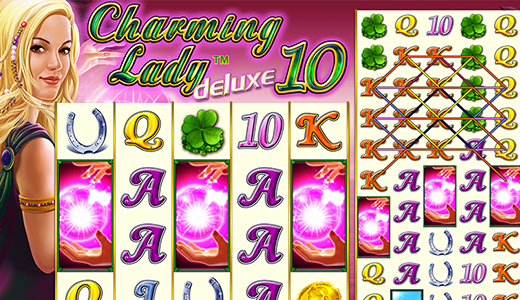 Have fun playing Charming Lady deluxe 10! Free Games, Colossal symbols and other extra features!